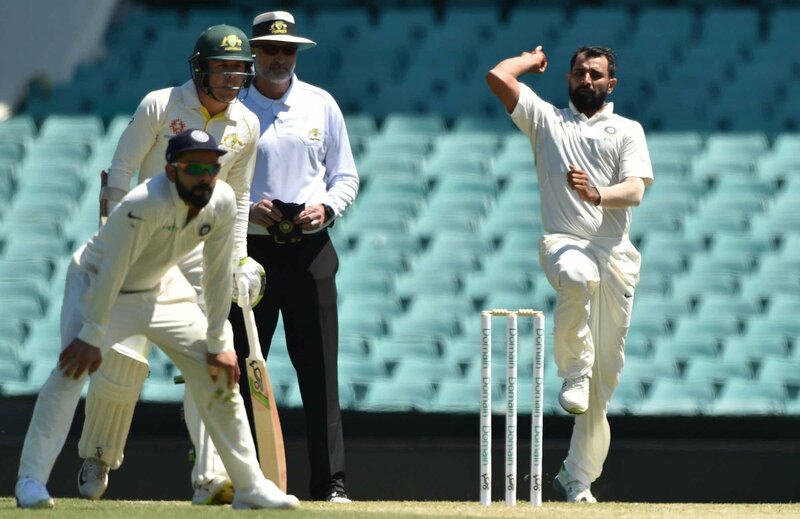 On the third day of the practice match, which is played between India and Cricket XI Australia in Sydney, CA XI scored 356 runs after losing 6 wickets and trail by just 2 runs at stumps. On Friday, CA's opener Short and Bryant were dismissed after a century partnership. Mohammed Shami bowled superbly for Team India and picked three wickets while Umesh Yadav and Ravichandran Ashwin bagged a wicket each. Meanwhile, Team India scored 358 runs in their first innings. In response, CA XI, Short and Max Bryant came to the opening. During this time they added a century opening stand,. Bryant returned to the pavilion with 62 runs and a short scored 74 runs. 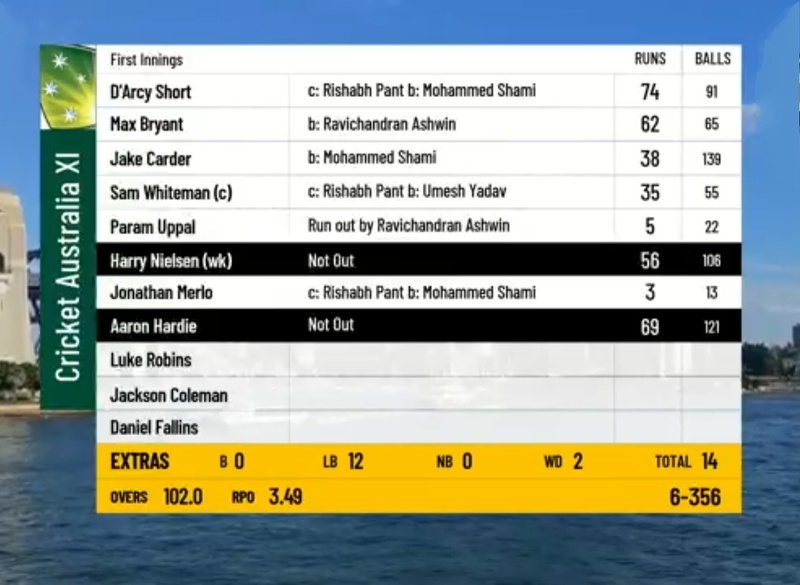 Ashwin broke this partnership, After that, there was an important partnership between Jack Carder and captain Sam Whiteman. Whiteman scored 35 runs and Carder contributed with 38 runs. 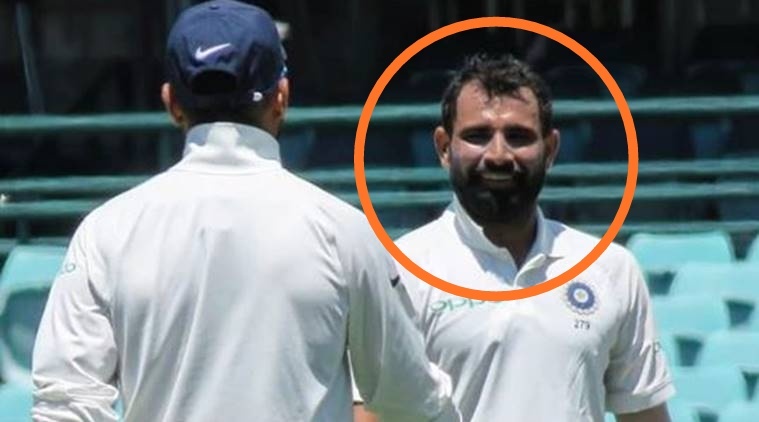 Mohammed Shami was very good in the third day's play. He picked three wickets for 67 in 18 overs, with this he also bowled 2 Maidan over. While Ashwin took 1 for 63 in 24 over with 5 Maidan over. Fast bowler Umesh Yadav also got one wicket. Umesh scored 4 runs in the 22 overs with 4 runs. 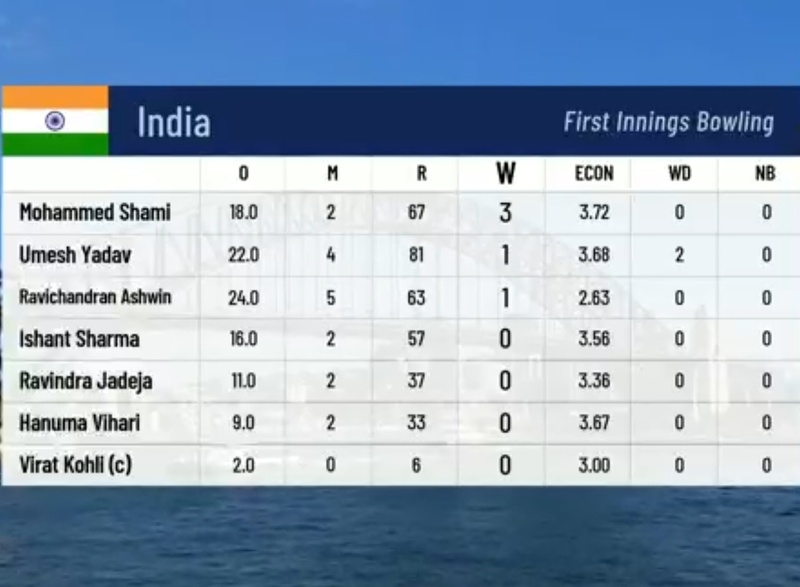 Ishant Sharma, Ravindra Jadeja and Hanuma Vihari did not get a single wicket.